In this post I wanted to give some love to Food for Change, PB&J Campaign and Veg Climate Alliance. 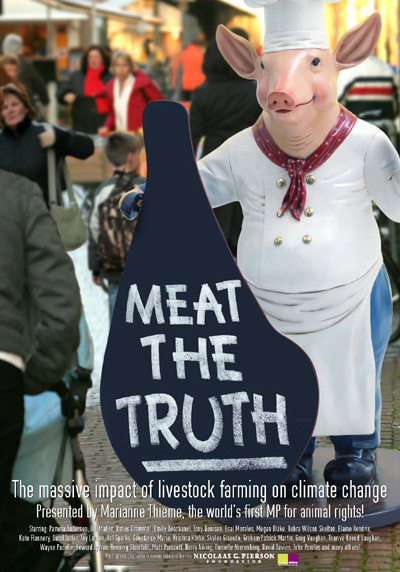 Each focuses their blog on the connection between meat and global warming. I recommend them all! Food for Change promotes food choices that are sustainable, ethical and environmentally responsible. This blog from the UK has a unique focus on animal agriculture on the environment and was founded a year ago by Sophie Pritchard. Learn about her motivations, ideas and more about the impact of livestock on global warming, the environment and health in her recent interview on Green Girls Global. Then check out her other posts! 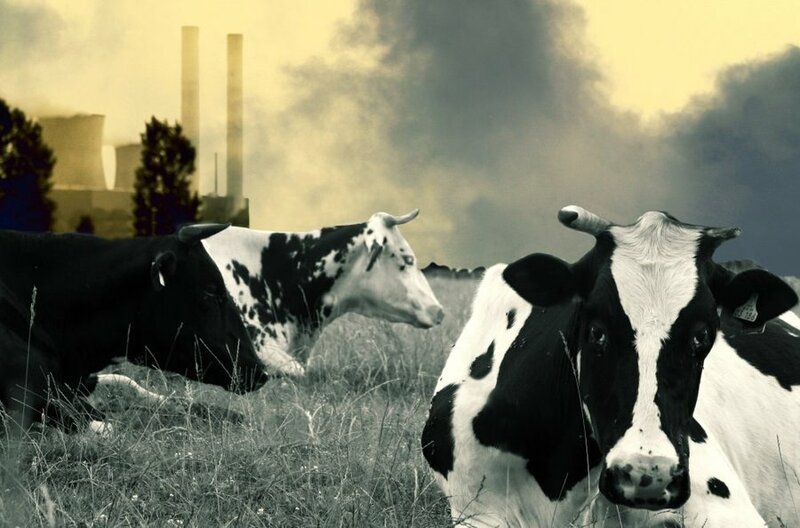 I became frustrated that environmental organisations continued to turn a blind eye to the environmental impact of livestock, particularly when both environmental and humanitarian organisations strongly and publicly oppose biofuels because of their environmental and social impacts when I knew that they caused only a fraction of the problems that the livestock industry does. I asked all these organisations about why they focused on biofuels, considering their impacts are the same as meat, but lower in scale. They all told me that the issue with biofuels was that they were making matters worse, whereas the devastation caused by livestock is long-standing. That didn’t seem like a good enough reason to ignore the issue to me. The PB&J Campaign is working to combat environmental destruction by reducing the amount of animal products people eat. I really like how they emphasize that even a small reduction in the consumption of animal products generates significant results. Check out the PB&J Pledge that will calculate the impact of your meals on greenhouse gas emissions, water and land based on whether or not you consume animal products. The methodology is derived from sound scientific studies. 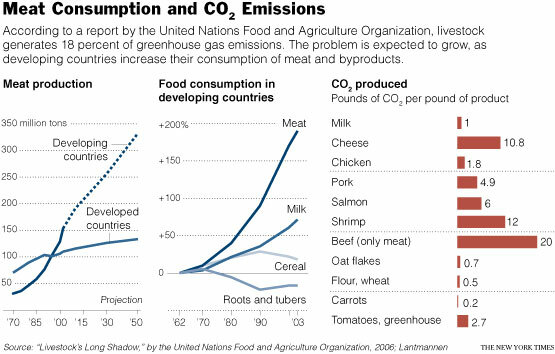 PB&J has a long-running blog (since April 2008) with MANY interesting posts on the impact of meat on global warming. Veg Climate Alliance, a new international alliance of vegetarian, environmental and animal rights activists and organizations, stresses that the best thing a person can do to stop global warming and its catastrophic consequences is to switch to a plant-based diet. a global shift to vegetarianism is necessary to avoid rapidly approaching catastrophic climatic conditions and other environmental threats. Jointly lobby governments and international groups, including the UN, to specifically promote the veg diet as a means to combat climate change. In the same aim we will also provide a central information and communication hub connecting all concerned groups/organizations/communities/individuals. It’s awesome to see an organization setup to help bring together all of the advocates and supporters of this subject to share ideas and to lobby governmental groups to promote a veg diet. I hope to be a part of it. See their blog, veg events listings and their forum!